John Wetch, 96 of West Fargo, peacefully passed away on Sunday November 4, 2018 surrounded by his large, loving family. John was born on May 10, 1922 in Odense, North Dakota to Phillip and Theckla (Zerr) Wetch and was raised in rural Solen, ND. He was the third child of what would be fourteen children. He served in the United States Army, stationed in the South Pacific from 1943-1945. John returned home and later married Idona “Ida” Merkel on October 5, 1946 in Selby, South Dakota. The couple resided in Underwood, ND where they had their daughter, Elaine. They then moved to Bismarck where they had Duane, Gordon, Kirk, Terry, and Jan. John was a truck driver for Eddy’s Bakery until they moved to Fargo and had their last son Ronnie. In Fargo, John worked for Holsum Bakery until he retired in 1979. After retiring he enjoyed spending time with grandkids and attending many school events for them. Most of his children and grandchildren kept a revolving door through their home spending much of their time with him and Ida. He also enjoyed mowing lawns, doing yard work, and spending Sundays cruising around car lots with Ida because he was always trading his car in. John will always be described as a fierce protector and loyal to his family. He was very strong minded and proud, he always put his family first. John was a very giving man, with a heart of gold. He was an unwavering supporter of all seven of his children, and his grandchildren. He is preceded in death by his parents; his sister Rose; his brothers, Bud, Phillip, George, Adam, Frank, and Elmer; and his beautiful daughter, Elaine. Also, by a cherished family friend, Jean Larson (Olson). 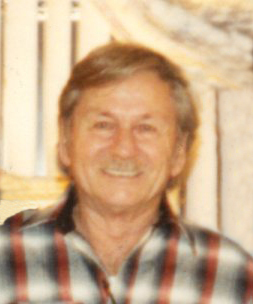 John is survived by his devoted wife, Ida of West Fargo; children, Duane (Joanne) Wetch, Gordon (Jeanette) Wetch, Kirk (Karin) Wetch, Terry (Tami) Wetch, Jan (Doreen) Wetch, and Ronnie Wetch; son- in-law, Joel Ryding; 17 grandchildren, 34 great-grandchildren, 3 great-great grandchildren; Brothers, Tony, Christ, Joe, and Raymond (Al); sisters, Virginia and Ann. Memorials are preferred St. Jude Children’s Hospital. Funeral Service: Friday, November 9, 2018 at 10 am at West Funeral Home in West Fargo, ND with visitation one hour prior to the service. Interment: Greenwood Cemetery, Tower City, ND.